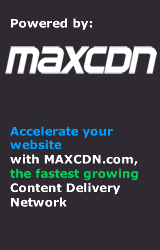 Look, up in the sky! 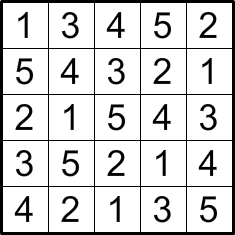 Now tip your head down just a bit. 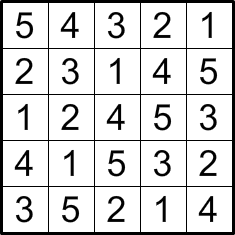 That skyline is the key to solving the puzzles in Skyscrapers Light, the newest logic puzzle addition to Conceptis's series of puzzle samplers. 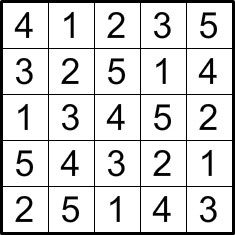 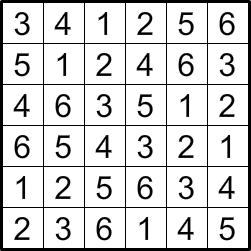 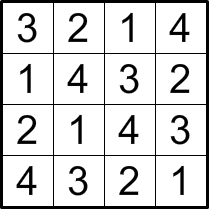 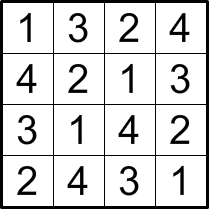 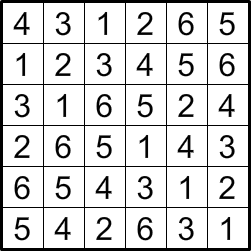 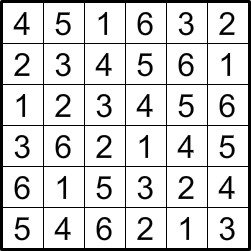 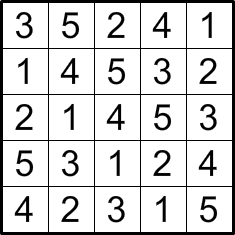 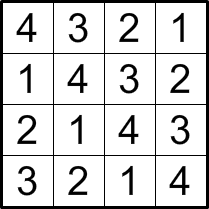 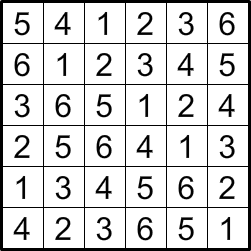 Like a sudoku puzzle, the goal is to fill the grid so that each number appears once in each row and column, but all of your clues are sitting outside the grid! 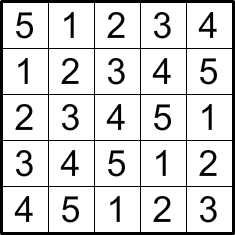 Imagine that the grid is a city block, made up of buildings of different heights. 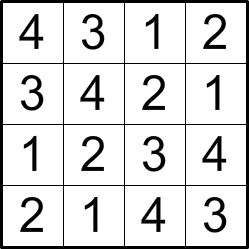 A 1 in the grid represents a one-story building, a 2 represents a two-story building, and so on. 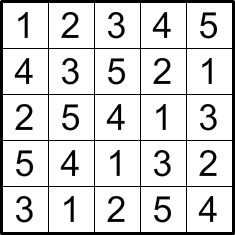 When all of the numbers are placed in the grid, the numbers on the outside of the grid tell you how many buildings are visible in that row from that direction, keeping in mind that a tall building will completely hide any smaller buildings behind it. 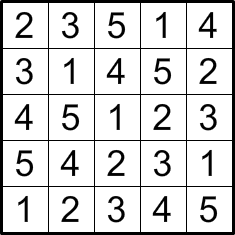 These outside clues are all you get to fill in the entire city block, so it'll help if you become familiar with common patterns that come from clues in relation to each other. 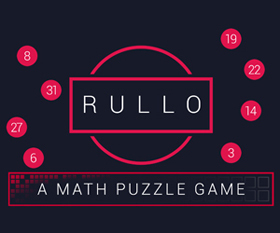 Do you have the street smarts to rebuild the city? 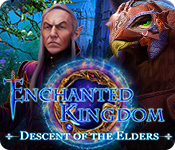 Skyscrapers Light Walkthrough now available! 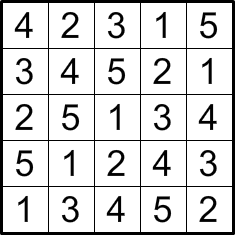 For a grid with a size of n, if n buildings are visible from one viewpoint clue, that row can be filled in from 1-n, because all of the buildings must be seen from the viewpoint. 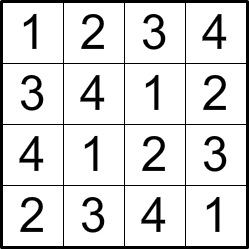 If only 1 building is visible from one side of a row, the highest number (n must be placed in the square closest to the viewpoint clue, because all of the smaller buildings must be hidden behind the largest building. 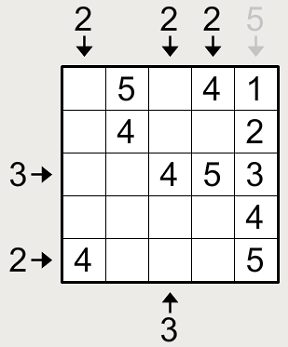 Generally, when solving Skyscrapers puzzles, you'll be filling in the highest numbers first in order to satisfy the viewpoint clues, then filling in the smaller numbers later using deduction. 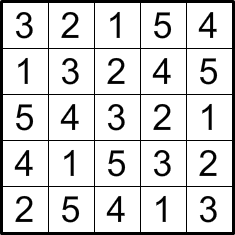 Don't fret over 1s and 2s until later in the puzzle, as their positions will become more obvious as you fill in the higher numbers. 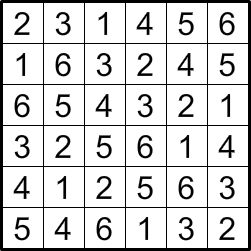 Don't be afraid to use good old-fashioned trial and error! 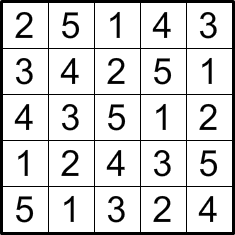 If you want to see where a guess plays out, click on the smaller box in each square to pencil numbers into place before you commit.